The Gambia is without a Vice President. Barrow reserves the post for the woman who gingered an opposition united front against the former dictator. But she is over-aged. (Photo Credit: M.S.Joof/TNBES/Feb2017). What is a state sponsored think tank? For more than one reason, I am very optimistic that we will surely attain the pattern to a genuine development with the emergence of a state sponsored think tank. But I am not a blind optimist of any kind and I am sure many others have all the reasons to be critical of the think tank. The 16-member national think thank whose roles aren’t clearly and sufficiently stated nor are their personal profiles known and ascertained,are yet expected by all to“help the government and the private sector in national development, empowering the youth in particular” made the core issue of the VP’s statement echoing the significance of a think tank. But that is not enough, a think tank is just more than a wishful establishment or a political muscle. History has been made and Gambians have all the right to be optimistic about their future which we can of course strongly inaugurate as promising. Even though the VP’s appointment is still prolonged for unknown reasons, such and establishment of a think tank can tell us among many things they will find out, why we are still without a VP and why we seriously need one. Such and even more expectations that will be related to corruption, mismanagement and political banditry are why many modern governments have think tanks. In fact, it is fair to be optimistic to complement the efforts of the Coalition government and that is fundamentally why I think the purposes and personalities of the think tank should be transparently spelt out in the parliament if necessary, before they assume their responsibilities. We need a stronger political statement. Because think tanks have fluctuated and dismissed their national and impartial roles in many cases in advanced democracies, Gambians have the chance to learn from some of those malpractices many think tanks has done world over. To avoid political masturbation and conjured party politics, the think tank should be complemented by well-disciplined professionals whose merits are outstanding and are not political party sympathizers. Due to the political and operational role think tanks has taken, made their establishment very important and sensitive. A think tank is the national brain box and its objectives and doings are both fundamental and must be premeditated, designed and genuine for it to cultivate us sustainable development and democracy. Anyone who had consciously followed the recent political evolution in The Gambia will not expect a non-state sponsored think thank for many reasons not least, the many complexities and unclear political representations in almost all Gambian institutions some of those features many think are still alive and kicking. Paramount among all discuses are the vacant VP position and the lack of clear direction that are handicapping our new fragile and tumultuous government whose voice is yet to be certain. Moreover, the coming into reality of the first known and much anticipated think tank of the Gambia is not only a sign of modern politics but reassures our national hopes and endeavours towards a truth and reconciliation of a nation state who is on a sharp passage. Thus, this think thank is the national brain box whose composition, actions and in-actions will be very instrumental and of concern to all. Their operations will either add to the solutions or problems depending much on their political affiliations and professionalism and know-how. Though not an independent civil society establish think tank, yet the least we will expect from the ‘secret’ institution is political masturbation. 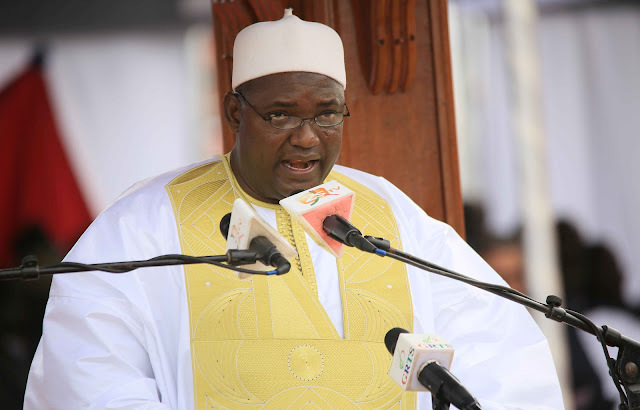 To make sure that our democracy reaches maturity, the coalition government might have to dissolve together with its think tank –The Gambia will have to establish a transparent and non-profit think tank that is independent from government and corporations. This is why it must be a parliament matter to be a merit based think tank that will carry nothing but our national identity. We must not for a moment continue in nonsense political laughter; our think tank is created by the coalition government in their chosen ways, sponsored by them and whose objectives and composition is a matter of speculation. That anonymous identity of the much expected think tank might have subtracted some moral confidence already. Their legacy will rest on their independence and capacity to execute their functions –but the political mess everywhere in the gambia makes the think tank even more sensitive. The size and the focus of the think tank will tell how much we can expect from them and how much we will have to give from the state resources to keep them operational towards our reconstruction mission for which it is establish in the first place. We would expect the sizable group to be a collection of the best brains and patriots; their evolution will highly depend on the manner in which their research agenda is developed, sponsored and executed. 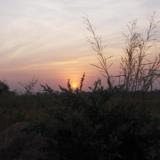 Their influencing approaches and tactics in the truth and reconciliation mission and the time horizon for their strategies: long term and short term mobilisation must be a matter of national debate and action. Because after all, the prime benefactors and audiences of the think tank is the public and not the government. How the think tank addresses these much needed concerns will largely depends on how, where and when they work, their ideology vs. evidence credentials, and the context in which they operate including funding opportunities, the degree and type of co-operation they will have and their staff composition are enormous importance to make them stand without diverting our national dream- to live in a fairer society than the one known to us. Personally, I am happy of the initiative and proud of it, but my liking for them and urge to suggest my opinion will have to depend on their composition and objectives to be stated clearly and agreed upon by public opinion unshaped by any political party.Our policy institutes might have to collaborate with the think tank to objectively guide their activities and maintain the codes of ethics. Their independence research that must be free of significant biases and financial troubles, will take a fast and careful consultancy from all institutions and if need be, all private citizens. Time is running out of our reach with a lot of evidences. The think tank is expect to come up with calculated and established agendas that will attract pubic support and relevance. They must be accessible, influential and direct in their advocacy and communication skills. It is a heavy job and needs the best brains which will include technocrats, researchers and security personals among the rest. Yes! Because at the end of the analysis, independent research moderated by public concerns, sustained with public funding, and motivated by the freedom to make research questions and methods, is all what matters. I would prefer even more interdisciplinary scholars or professionals to make up the list of the Think Tank. This is understandable for many reasons not exhaustive to openness to matters and relevance of inter-connectivity of issues traditional think tanks discussed. The think tank is a brain box that calls more on interdisciplinary experts/technocrats whose evaluations on issues in not quadratic, fundamental and fanatics in any area. We need a fine collections of brains that are able to communicate how interconnected our problems are rather than the contrary. Also, to have a long term or short term plan could could emphasize ‘big ideas’ without direct policy relevance will be nonsensical. However, it could emphasize a major policy problem that requires a thorough research and action investment. Since modern think tanks means strategists discussing about those fundamental things we all ought to take them/it seriously, their independence to choose their questions and do their researches is priceless. 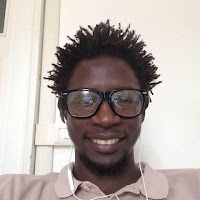 Alagie Jinkang is a Gambian journalist based in Italy and a contributor for TNBES. He reports on refugee and migration issues and frequently writes on contemporary Gambia affairs. He is also PH.D Candidate, Faculty of Law, University of Palermo, Italy.